KATHMANDU, July 30: Nepal Airlines has recently imported its second wide-body aircraft, increasing its total fleet of airplanes to 13. With the new additions, it has targeted a yearly profit of Rs. 17 billion. "We will start commercial flights with the first wide-body within a week and the second in at most two weeks," said the NAC General Manager Sugat Ratna Kansakar, "After 3 months of flying over old routes, they will be put on flights to Seoul, South Korea, and Riyadh, Saudi Arabia. With this, we have aimed for a profit of 17 billion rupees." The NAC reportedly owns two A330-200 aircraft with 274 seats, two A320-200 with 158 seats, one B757-200 with 190 seats, two MA-60 with 58 seats, four Y12-E with 17 seats, and two DHC6-Twinotter with 19 seats. The first wide-body aircraft will be starting regular flights on August 1. It had conducted a proving flight to New Delhi last Monday and has been certified with the AOC by the Civil Aviation Authority of Nepal. The second wide-body will not have to go through a proving flight. 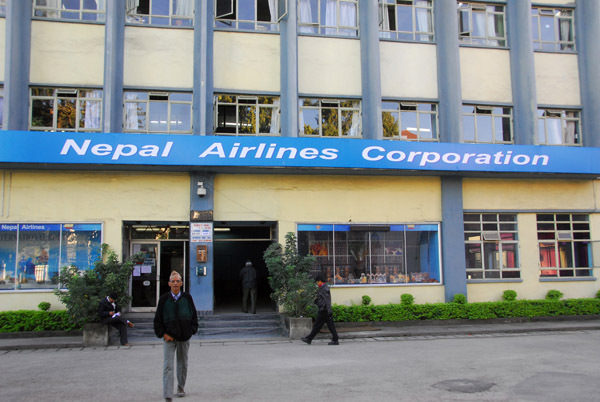 Nepal Airlines has been earning from 10 to 11 billion rupees each year providing ground handling services to foreign airline companies which land at Tribhuvan International Airport. The addition of the two wide-body aircraft has been anticipated to add 6-8 billion rupees in profits for the NAC. "After the addition of three new destinations, Japan, Korea, and Saudi Arabia, there will be a total of 11 international destinations to offer services to. With that, our profits will begin to climb," said General Manager Kansakar. According to the business plan prepared by the NAC, the two wide-body aircraft will together fill three flights a week to Japan, Korea, and Saudi Arabia. The NAC also plans to increase the frequency of flights if the seat occupancy increases over time. "The first flight of the first wide-body will be to Doha, Qatar. We have yet to decide on the specific destination for the second wide-body," said Kansakar. He informed that until the wide-body aircraft are eligible to conduct flights to the new destinations, they will be conducting flights to Dubai, Doha, Hong Kong, Bangkok, Malaysia, and other destinations.